There's no doubt that we're in the middle of tabletop gaming golden age. Right now there are thousands of board games and card games available, and more being made each year. Don't take my word for it: here is an article from Vice and two from The Guardian detailing it as such. To help you pick some quality titles this year, some contributors and I have put together a list of board games you might want to consider checking out. They make great gifts or games to play over with the family over the holidays. Take a look, and let us know if you have any other suggestions in the comments section! I picked three games that I highly recommend for family time during the holidays: games that are easy to explain, fun to play, and different than the standard Monopoly-Risk family games. These three will please both serious gamers and their non-gaming family. Ah the holidays: a time to celebrate family values. And what better way to express these family values than by a game that puts you in the role of the capo of a mob family engaged in a cutthroat mob war against all of your competition? This game plays up to 6 people, each one taking on a gang made of historical mobsters and gangsters. The object: be the last man standing. The method: cards that attack, cards that protect, and cards that call down the feds to provide some convenient witness protection. So, I’m not usually a fan of direct player interaction. It usually gets nasty personal, and someone is always the weakest gazelle (and it’s never fun to be the weakest gazelle). But, I like this game for two reasons: first, this game has enough of a chaos element that no one player can be ganged up on and it is hard to tell who’s “winning” until the very end, and second, the game provides many ways of protecting yourself, so you never know if your direct attack will be successful or if the mook will take the coward’s way out. This game plays 2-6, though I wouldn’t play it with fewer than 3 people. The length of the game depends on how many players – a 6-player game will take longer than a 3-player game. The age rating on this game is 8+, which I think might be a bit young. You are pretending to kill other mobsters (no collateral damage in this game, luckily), and one card is called “St. Valentine’s Day Massacre.” The art shows guns and explosions, but no blood or dead people. On a personal note, this game was the first non-Milton Bradley board/ card game I ever played, and it gave me my college nickname (the story is somewhat convoluted and inside baseball, but it was a direct result of this game). I give Family Business a 4.5 - my favorite game in the “take out the other competition directly” category. Steampunk and Space: a match made on Mars. In this game, you take your little astronaut people and try to control more territory on Mars than the competition. You load your astronauts onto spaceships aimed for a specific territory, and then you load up territories with astronauts to control it. There are also special goals that can give you extra victory points if you manage to meet them. This game plays 2-6 people. Mission: Red Planet is part territory control, part hidden action. Everyone has a set of 9 cards, each one with a character, power, and number. Each round, every player picks a card, players reveal the cards all at once, and then the powers activate in numerical order. Sometimes, getting to act before anyone else is an advantage, because other players’ actions can affect the board and your ability to do what you wanted to do. Remembering which cards your competition have already played will give you a leg up on strategy. Oh yeah, there’s also a turn limitation, so keep an eye on the clock when deciding which cards to play. I loved this game from the moment I opened the box and saw the little astronauts. The components are a ton of fun, and I spend the down time organizing them into neat rows. The game is themed steampunk, and it comes out in the character design on the power cards and the board, but that’s about it. In some sense, this is a simple game, with easy to understand rules. But the strategy is definitely game theory: what card are other people going to play, can I get this spaceship launched without anyone else’s astronauts on it, or can I risk bringing other players’ pieces if it means that I’ll have the majority on this location? This simplicity-complexity makes for a great holiday game. It’ll be easy to grasp but hard enough to play to make things fun. I give Mission: Red Planet a 5. I love love love this game. It’s a great balance of hard and fun, and did I mention the wee astronauts???? Did you know that the castle at Magic Kingdom is based on a real place? This German prince, who was super nuts, built a literal fairy tale castle in the 19th century (I mean literal: he was inspired by Grimm’s tales). Neufschwanstein is the inspiration for this game: King Ludwig wants you to build him a castle, and he has some very specific and idiosyncratic requests. In this game, 2-4 people take turns buying rooms to add to their castle. The rooms must fit physically and attach to an open door on the castle. Basement rooms must attach to a staircase or another basement room. There are 8 room types, and each one has special rules and powers that activate when you place the room and again if/when you connect another room to each door. The most interesting mechanism in this game is the Master Builder. Each round, a different player gets to decide the pricing of the rooms available to purchase. Plus, the Master Builder actually gets the money the players pay to buy their rooms. The Master Builder goes last, so they are weighing pricing rooms they want so they don’t sell versus pricing rooms they know people want at a high enough price to get more money from the other players. The Master Builder rotates, so everyone gets a chance to earn some cash. King Ludwig has several conditions that he is judging your castle on: four universal conditions (things like size or type or shape) where points are awarded based on first, second, and third place; and secret conditions, just for you, where points are awarded if you successfully complete the conditions. There are many conditions in the box, so each game is going to have a different direction. The Master Builder will know what rooms are going to be popular based on the universal conditions, but the secret conditions will always be a wild card. This game has one major drawback: out of all the games I’ve reviewed, it has the most complicated rules/point allocation. Well, the game play rules are fairly simple, but when it comes to counting up points, you might need a calculator and a snack break. But, as long as one familiar player is in the game, you can work around that. It’s fairly easy to explain the basic gist of the point values, even if you don’t make new players do all the counting. The art in this game is stellar. Every room is different: it’s like a Where’s Waldo game. And all the rooms have a title. Win or lose, the best part of this game is imagining a castle where a lecture hall can and should overlook the Pumpkin Patch. (By the way, house rule: putting the Pumpkin Patch in your castle is a moral victory.) I see something new in the rooms every time I play. This game is a 4.5 when it comes to family gaming, only because the point count up is so complicated. Otherwise, I adore this game. The art and the game play are phenomenal and so creative. Note: this game has/will have an expansion, but I haven’t played it. Since so much of this game is the rooms, additional rooms will only improve it. Game Playing with Family: I have one last thought about playing games with family, whether your children or your siblings, parents, etc. Consider the rule: Winner Picks Up. This was the rule in my house, and it helped decrease the sore loser/sore winner problem. Oh, congrats, you won. I hope you enjoy putting all the pieces back in the box while I go get a commiseration cookie. Seriously though, particularly with kids, that winner/loser thing is a huge issue and this rule takes the edge off. Hello there! So I heard you want to buy a Christmas gift for your (friend, sibling, parent, etc) but you want to show them how awesome board games can be! You've come to the right place. A search of Board Game Geek or any retail websites can certainly be intimidating, but fear not I am here to guide you through this journey. Rule #2: Keep in mind what they like! If they don't like the theme it will make it more of a chore for them. A good example of a game that can fit many themes is Love Letter. There are hundreds (slight exaggeration) versions of it with themes ranging from Batman to Adventure Time. AEG has also recently released a larger version that can play up to 8 players. This also applies to the mechanics of the game. They have nightmares of 20 hour games of Monopoly? They may not want a copy of Settlers of Catan. If they like mysteries maybe look at Mr. Jack or Sherlock Holmes Consulting Detective. Rule #3: Don't expect the person to instantly become hooked and start their own collection. It's very tempting to pile games on your friends, but they may just be happy with one or two. Where you may have a need (addiction) to getting the new hotness (I don't have a problem you do!) the person you're buying for may not feel that need. These are more guidelines than rules, but it makes it sound more official. Now below I will list a few games that may start getting the brain juices flowing. These are the games that have introduced so many others to the hobby, and they're the ones that I recommend the most. Ticket to Ride - This game was first released in 2004 and has sold millions of copies since. Colorful, easy, and slightly addicting, If there's a game that will get the whole family involved, it's this one. And when you feel that it's overstayed it's welcome, there are a series of different boards and versions that you can try out (I'm particularly partial to Ticket to Ride: Europe and the India/Switzerland map). It also has a fantastic mobile app. Ticket to Ride uses a system of awarding game-end points for connecting certain destinations on the board, so even someone who ends the game with the lowest points has a chance of winning during the final scoring. Carcassonne - This tile-laying game has been around since 2000, and has spawned an army of expansions and reprints, but none of them are necessary to enjoy this almost-peaceful game about building up the countryside of Medieval France. This game was the first to introduce the world to the "meeple," a game piece now as ubiquitous to board gaming as dice. Carcassonne is a little less cutthroat than some of the other entries, but it's more accessible than Catan and plays quicker than Ticket to Ride. It also boasts an impressive mobile app as well, and even has a Star Wars themed set. Pandemic - Pandemic is a classic cooperative game with an awesome theme: you're trying to find the cure for four diseases before they spread too far for containment and wipe out humanity. The game offers unique challenges and different character roles, giving plenty of variety. But if you find yourself getting sick of it, then check out its many expansions (On the Brink is a must-have, bringing the player count to 5 and giving you petri dishes for the disease cubes). If you're really adventurous, check out Pandemic Legacy, which changes the state of the board and the rules as the game continues. King of Tokyo - This is a must-have for any gamer or would-be gamers, especially for those who are looking to introduce others to the hobby or to play with children. It's essentially Yahtzee with Godzilla and King Kong, and there's nothing like chucking dice while your monster stomps its way into Tokyo and all over your opponents. This is one of those rare games that's easy to pick up and works well with almost everyone. It's the one you'll most likely be able to break out during a holiday get-together, or to introduce to younger family members. Maybe you grew up a fan of abstract games like Chess, Checkers, or Go. You might want to check out these titles for a different take on abstract games that rely on skill over luck. Hive - This is a fantastic little game that uses tiles with bugs on them. The goal is to completely surround your opponent's Queen Bee tile before the same happens to you. Each tile has its own distinct movement style, like the Ant that can travel as far as it wants, or the Grasshopper that "jumps" over all the tiles directly to the other side. The game doesn't take very long to play, allowing for several rounds in a single sitting, and picking up the pocket version means taking it with you on the go. Onitama - I previously reviewed this game, and I still think it's a great choice for any Chess enthusiast who wants something different that scratches that strategy itch. Onitama's 10 minute gameplay combined with its varied list of moves makes for a solid game. Sometimes you're not feeling competitive. Sometimes you just want to win with others instead of crushing them. 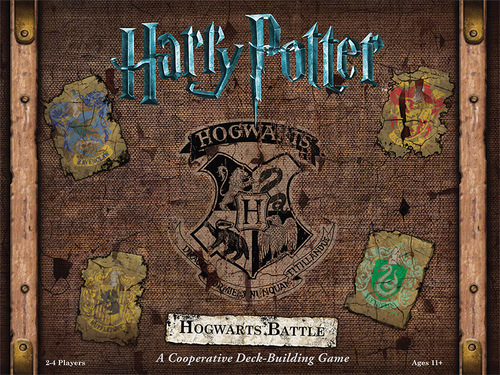 There are a plethora of cooperative titles out there, pitting the players against the game itself instead of each other. We've already mentioned Pandemic before, but here are two others that play very differently. Mysterium - We previously reviewed Mysterium here, and this game has been at the top of my favorites list since playing it at Dice Tower Con this past summer. It's surprisingly easy and plaus quickly (although it takes a few moments to set up the cards properly). This is a great game for people who enjoy puzzles, or want to use empathy and interpretation in their games rather than pure strategy. It lends itself to a little bit of storytelling, but more than that it's a game where everyone gets a say in some way. The artwork is fantastic and worth the cost of the game itself. If you want a more competitive experience, then check out its spiritual predecessor Dixit (I'm personally a fan of Dixit Journey). Legendary: A Marvel Deck Building Game - My first board game love, Marvel Legendary is a great cooperative game that mixes the always-popular deckbuilding mechanic (drafting cards to create your own personal deck) with Marvel characters. It's super fun to play cards with the Avengers and X-Men as they take on baddies like Thor, Loki, and Magneto. And if you ever need more Legendary in your life, it has a ton of expansions (including the Deadpool expansion that we reviewed earlier). If you're looking for a smaller, cheaper, and more competitive deck building experience, you can also pick up Star Realms. Small World - This game is often compared to Risk, but in truth they have very little in common. However, it speaks to those war gamers who enjoyed invading other people's countries but didn't want to spend eight hours doing it. Small World combines fantasy creatures and unique powers into a deceptively simple yet highly strategic game of conquest, and the best part is that it has a definitive end point. You can start off by conquering with your giants and move on to your halflings, finishing the game off with elves or rat people, each with their own unique talent or ability that will change with every game. All the while you need to keep an eye on the board and ensure that you don't leave yourself vulnerable during your opponent's turns. Its fun art and high replay value make this game a winner, but be careful: it is a competitive game that requires attacking other players to win. During our holiday parties, we've played endless games of Apples to Apples, followed by Cards Against Humanity. Those games are a fun time, but to the truth is that after years of playing them over and over again, I'm pretty sick of them. Luckily there are plenty of great games that make for great party experiences. Codenames - One of the biggest party-game hits of the past year or so, Codenames is a great experience because it it splits players into teams, and lends itself to some imaginative and creative forms of expression in order to bring your team to victory. This is the kind of game where you'll care a lot more about enjoying yourself than you will about winning, and that's always a great experience. Spyfall - This game came out right before Codenames, and for some reason it has been swept under the rug since being dethroned as the top party game. I think that's a mistake, as Spyfall is one of the most clever and interesting games I've ever enjoyed, and one that I personally might enjoy more than Codenames. One player is secretly the spy, and all the other players have to ask each other questions about their location to see if they can find out who it is. This leads to some brilliant and hysterical situations, and like Codenames, it's not so much about winning as it is about having a good time. One Night Ultimate Werewolf - I'm so sick of this game. I have it here because of that fact: I've played it more than any other game in my collection because it's just that much fun. One Night Ultimate Werewolf is a huge hit that goes over with a lot of different people. It's fun, fast, and lends itself to all sorts of play styles and personalities. Buy this game, download the fantastic app that accompanies it, and play it to death. These games travel easily, play quickly, and are highly addicting. They make great stocking stuffers or games to play while you're waiting for the holiday meal to finish cooking. Love Letter - Love Letter has grown quite a bit since its initial release in 2014, to the point where if there's an intellectual property, it's been considered or made. You can get regular Love Letter, or an Asian-inspired Legends of the Five Rings version, or how about a Batman version? Archer? Adventure Time? Munchkin? The Hobbit? I believe there's a Star Wars one on the way as well. You can even get a Christmas-themed version called Letters to Santa. The games play in five minutes or less, and don't require a lot of space. This is a great one to have at least one copy in your collection. Fluxx - Sometimes you don't want to strategize or overthink. Sometimes you just want to have fun, and that's what Fluxx is. Every game starts with only two rules: Draw one card, then play one card. As the cards are played, the rules change, and the amount of cards drawn and played fluctuate as players try to figure out how they'll mess with each other. It's quite difficult to actually set up a winning scenario, since the ending goal is always in flux-OH MY GOD I JUST GOT WHY THEY NAMED IT THAT. You don't have to settle for the normal version, as there are plenty of themed sets including Space, Cthulhu, Horror, Pirates, Batman, Wizard of Oz, and even a Monty Python and the Holy Grail version. And of course, there's a Holiday version that goes well with the the current time of year. Sushi Go! - This game has been another big hit with family and friends. Sushi Go! is a drafting game, where you take a card from your hand and pass the rest on to the next person, trying to collect the cards you need before someone else takes them. It's quick, fun, easy to teach, and is a colorful little game that's great for all ages. And I know it's hard to believe, but the pieces of fish, rice, and desserts are just adorable. We hope this list has given you some insights into games you might want to pick up or play with your families and friends this holiday season. If you have any further questions about any of these games, feel free to leave a comment below or send us a message. Do you have any games in mind? Do you disagree with our lists? Let us know!